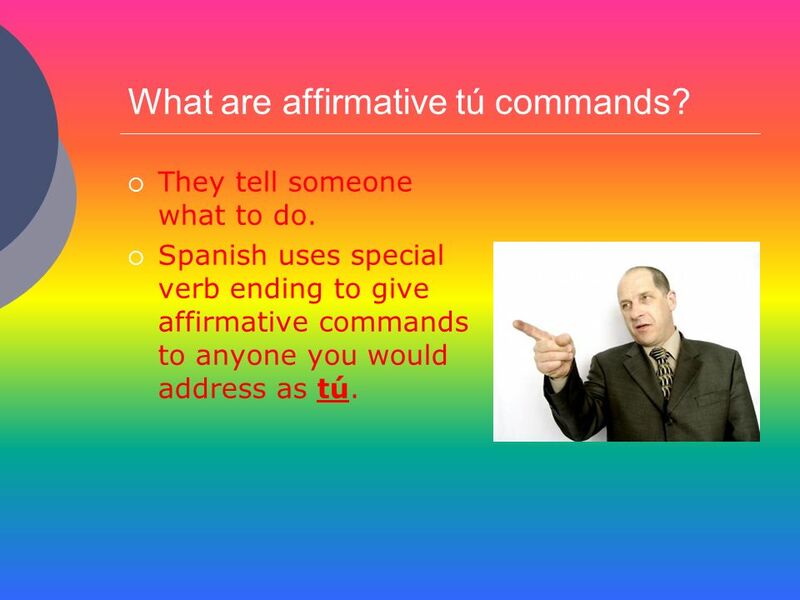 2 What are affirmative tú commands? They tell someone what to do. 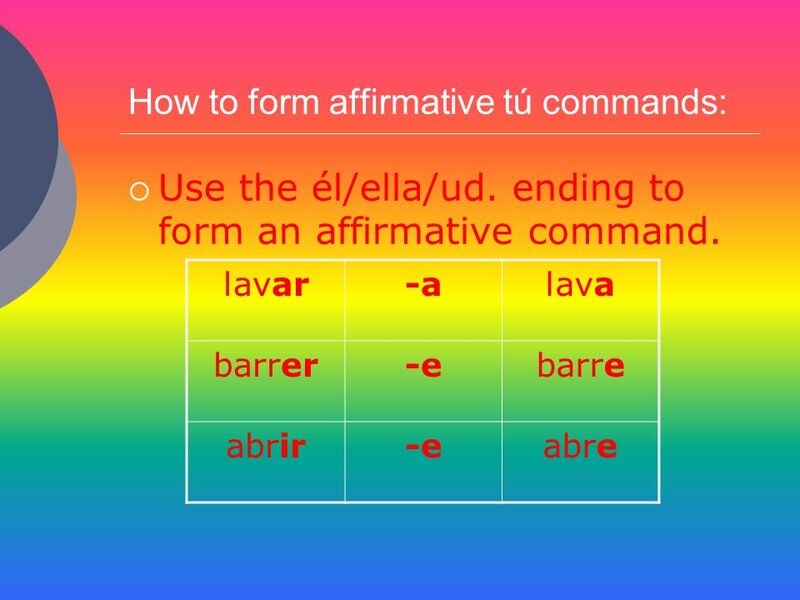 Spanish uses special verb ending to give affirmative commands to anyone you would address as tú. 4 Examples ¡Lava los platos! ¡Barre el suelo! ¡Abre la puerta! 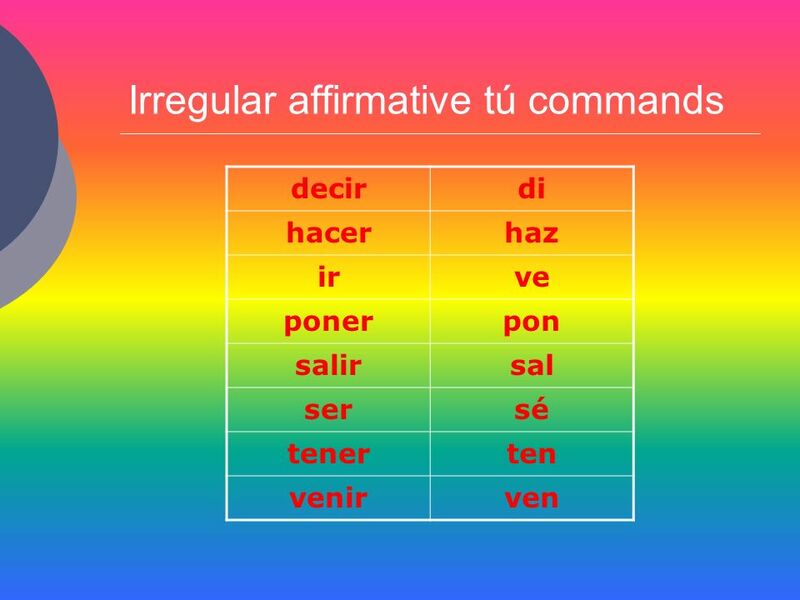 6 Regla If you use an affirmative command with a direct object pronoun, attach the pronoun to the end. 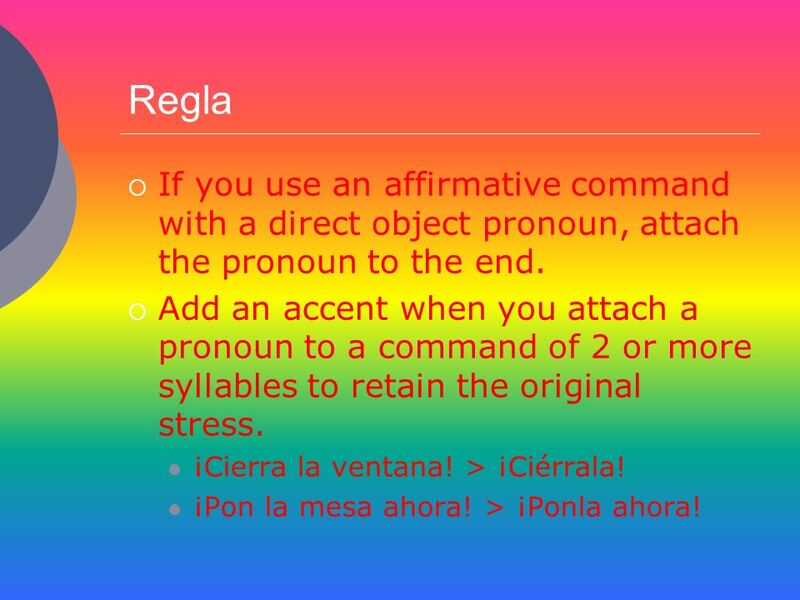 Add an accent when you attach a pronoun to a command of 2 or more syllables to retain the original stress. ¡Cierra la ventana! > ¡Ciérrala! ¡Pon la mesa ahora! > ¡Ponla ahora! 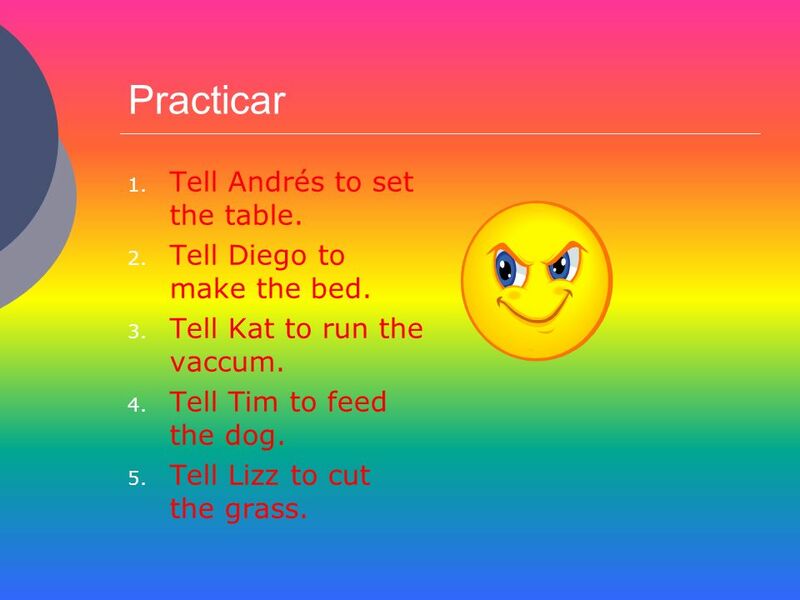 7 Practicar Tell Andrés to set the table. Tell Diego to make the bed. Tell Kat to run the vaccum. Tell Tim to feed the dog. Tell Lizz to cut the grass. 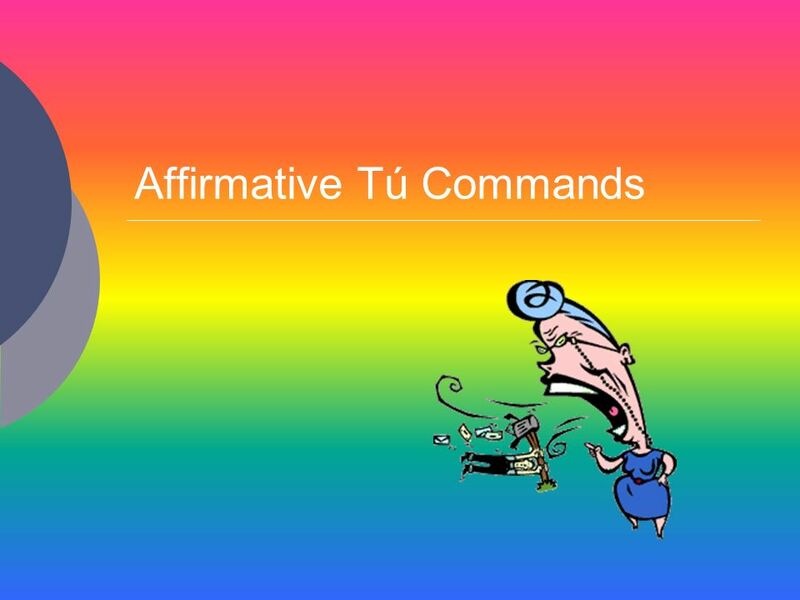 Download ppt "Affirmative Tú Commands"
MANDATOS I’ll tell you what to do. 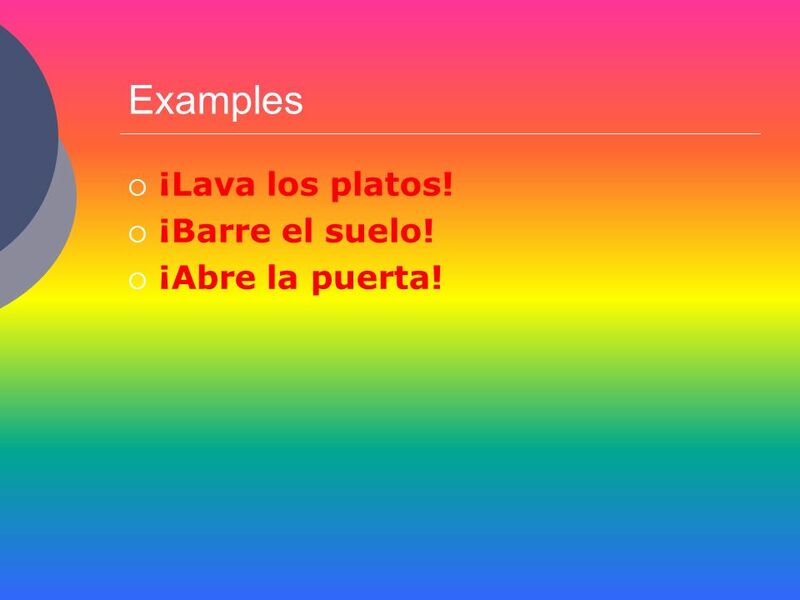 Los Mandatos Informales To form the informal (tú) commands you usually use the third person singular (él, ella) of the Present tense: hablarhabla comercome.